1- quite probably you will get 221g until the record is older than 5 years and was a minor charge. No one knows for sure. Be prepared for 221g all the time and secondary inspection at POE. 2- No, it only affects you. 3- Yes you will be taken to secondary inspection and they may question you about the case. Just keep all docs with you and tell your wife. - USCIS takes on average 6 months for making a decision on h1b applications with fees attached. Once consulate sends to USCIS, its a black hole. May be in a few weeks USCIS will review and send back details to consulate or may be a few months or may be an year. I know of many people who lost hope after 2 years of wait. No employer waits for that long. Execute plan B. - So either wait or have a plan B which if I were you would be to find a better employer. And depending upon if you have a valid i140, a new employer can file a new cap exempt petition on your behalf. Not if A withdraws the petition before 6 months after approval. One strategy is to work with A to request them to not to withdraw it until you successfully change employers using approved i140 (or ever withdraw it). Most legit and top renowned employers don't withdraw i140 out of courtesy because it serves them no purpose. This might be a futile attempt. It is too early to tell. As JoEF mentioned, USCIS has started returning the unselected applications but the process has not completed yet. So Wait and Watch !! RFE is on the position and not about your education. USCIS is questioning the position itself as they doubt if it even meets the H1b law requirements. In short USCIS is not buying if the position requires a US Bachelors degree. Work with your employer and their attorneys to respond if your employer disagrees with the RFE statements. 1- Within two weeks usually. 2- Grey area. It depends on USCIS acknowledging the received date and issue you a receipt number. If USCIS says they acknowledged on 26th then USCIS might not extend your status. It was of paramount importance to file timely and file in premium if eligible. Premium receipts and related USCIS acknowledgements are quicker and almost always the fedex received date is the USCIS acknowledged date. 3- No. You would have to consider this as a real risky scenario and if USCIS received date is after 25th, leave US and come back when approved. 4- Upgrade it to premium as it should have been filed in premium in the first place. 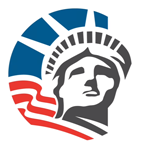 It is very common of USCIS to ask tax returns. Especially when they have suspicions that the position or the employer is phony. You would have to work with your employer/client and their attorneys to figure out what is needed to response to the RFE. Nobody can review your case details and give you a magical answer here on forums. Your employer and their attorneys know more about your case, position, probability of RFE etc than any one of us here. If I were you I would listen to them and follow what they say. Remember that i140 is your employers petition and they are not even obligated by law to file it in the first place. If you do not trust them then find a different employer. May be. Nobody here can give you a magical answer. PERM and i140 are employers petitions. These are not your fundamental rights governed by constitution. Your employer have no legal obligation to file PERM or i140 for you in the first place unless it was written as part of a contract. If you want to know your course of action please get your case reviewed in depth by immigration/labour or other suitable attorneys. You would have to apply and see. You are married and correct visa classification for you is H4 if your husband is on H1 . Why are you applying for a F1 ? With the facts presented and imo your F1 will likely be denied. If your husband has abandoned you, file a divorce and may be then F1 makes sense and that too strictly for studies and then come back to your home country. A VO will and should question your intentions to return to home country after F1 is done simply because you are married to a person who has indicated clearly that he wants to immigrate. That means the visa is issued and stamped on the passport. Why not wait and let the passport come to you or pick up the passport and see yourself. There are no guarantees I or anyone else can give you or anybody else on anything. There is no guarantee that her next attempt is a 100 percent denial as well. It goes both ways. You do what you have to do and let things happen that are not in your control. One thing helps is to have a plan B. Unfortunately there is no appeal path available for a visa denial. I doubt if L1 denial had any role to play in H4 denial. First H4 was denied because as the officer stated ; your wife had no intentions to join you on H4. EVen though she has or had H4 EAD, H4's primary intention is to join spouse and not to work in a different city. Now that is bad and in my opinion the subsequent H4 has been denied as well based on first H4 denial and not L1 denial. Again even though she has a H4-ead and can work, she has failed to demonstrate the primary eligibility for H4 in the first H4 attempt. Second time the VO didn't believe her H4 intentions as well. All she can do is to try again and yes it may help if you go along with her with your stamping application ( may be after 6 months) and that too may be a futile attempt. For an appropriate strategy, it would be worth hiring a law firm and get yours and her case reviewed in depth . Nobody here can tell you a magical answer unfortunately. H4 got approved - H4 EAD still in process - Can continue to work? H4 EAD under c26 will not be auto renewal for 180 days. You MUST WAIT for the new card in hand before continuing/starting work. From your previous posts , you seem to be out of status and looking for magical solutions to your issues. If you need advice , hire an immigration attorney and get your case reviewed in depth. There is no other way to this. H1b is your employers petition, if they do not want to respond to RFE you cannot do anything as it is their choice. They are not obligated to share RFE details with you as well. - Day 1 CPT will not be granted if you are out of status. - Day 1 CPT if granted will make sure you never have H1b again. - If you do not have a underlying active status , you must leave asap. - If you have a status and or active employment then try to change employers. But please stop looking for magical answers and that too without providing any concrete or understandable information as you are only hurting yourself. The only thing you will get here is bit and pieces of some information that will not help you at all. This is very hard to work out. How does someone who is trained in chemistry can work in IT ? USCIS in 2015 was not enforcing the h1b law. So I would be surprised if she can have h1b approved for an IT position unless her employer can demonstrate she meets all the requirements for H1b and the position. She can find an employer in chemistry field and they can petition h1b on her behalf. As she is in India, she is not in H4 status. She has no status. So the H4 ext and H4 EAD will not be approved if filed and should not be filed in the first place for a person who is in India. Bio-metrics requirement is added for form i539 (extension of h4 status in her case) which is filed when you are in US. If she has her visa expired, she can get a H4 visa using the usual interview/dropbox method at local US consulate. No but this is your employers and their attorneys Job. There is no standard format. Work with your employer and their attorneys to form a response.